IVR or Integrated Voice Response, gives City Cabs the ability to offer you a fast, efficient, reliable and safe way to book your taxi. The system allows regular customers to book a taxi without speaking to an operator. Once the customer is eligible the system will automatically offer the automated service when you call. Booking through our automated system can take as little as 10 seconds. Once you are set up for IVR, each time you call you will be greeted by an automated voice that will ask “if you require a taxi from ‘address’ please press 1 or to speak to an operator press 2”. It’s that simple. City Cabs telephonists deal with an average of 5000 calls per day. 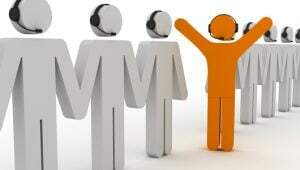 Having the IVR system allows our telephonists to take calls that require their attention and at the same time it lets the customer book a job quickly without having to speak to an operator. All you need to do to be eligible for the IVR service is request it the next time that you call. Our system will sometimes automatically set up the IVR against your telephone number.